About half of patients who attempt to discontinue their TKI after maintenance of MMR remain in treatment-free remission after 5 years. The guideline and supporting evidence were presented by Neil P. Shah, MD, PhD, at the 2019 NCCN Annual Conference. 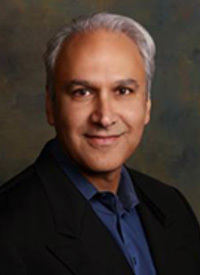 Patients may want to discontinue their TKI to improve their quality of life, minimize the potential for late emerging toxicities, minimize drug-drug interactions, and reduce financial burden, said Shah, who is a professor of medicine in the Division of Hematology and Oncology at the University of California, San Francisco. “TKI discontinuation studies have revealed that upon stopping TKI therapy, patients almost always report either an improvement in quality of life or no significant change,” he said. Among the criteria required for successful discontinuation of TKI therapy is achievement and maintenance of ≥4 log reduction in BCR-ABL transcripts (MR4) for at least 2 years. The study that transformed the idea of stopping TKI therapy in consenting patients who have achieved a deep molecular response was Stop Imatinib (STIM).2 In this trial, 38% of patients remained in treatment-free remission at 60 months without molecular recurrence. Patients eligible for discontinuation had to achieve MR5 in BCR-ABL1 transcripts, as measured by quantitative real-time reverse transcriptase polymerase chain reaction. That had to be maintained for at least 2 years. Across TKI discontinuation trials, treatment-free remission rates after maintaining deep molecular response—using various definitions—for at least 1 year ranged from 40% to 60%.3 Bearing these studies in mind, there has been a desire to make TKI discontinuation available to a larger number of patients. “The trend has been to be more lax in terms of how deep the remission is prior to stopping therapy, and the duration of deep molecular response that patients have to be in is being shortened a little bit,” said Shah. With relaxing the threshold for stopping treatment with TKIs, the threshold at which resuming therapy should be liberalized as well, he added, to loss of a 3-log reduction, as stated in the current guideline. The most straightforward explanation for successful treatment-free remission is leukemic stem cell erosion or exhaustion. In support of this explanation, Shah said that initially, BCR-ABL transcript levels drop precipitously (≥2 log reduction), followed by a more gradual decline until a deep molecular response is achieved. In a multivariate analysis of STIM, a high-risk Sokal score at diagnosis—which may be a surrogate measure of increased disease burden—was a factor that predicted molecular relapse. An imatinib duration of ≥58.8 months prior to discontinuation was associated with a lower likelihood of relapse, which supports the concept of stem cell erosion, he said. Data from phase III EURO-SKI confirm that a 6-year cutoff for TKI duration was associated with the probability of loss of deep molecular response. The 6-month probability of relapse is about 60% with a TKI duration of <6 years, he noted. A high number of natural killer cells and an enhanced TH1-type response have also been found to correlate with successful treatment-free remission. Although 3 of the second-generation TKIs—dasatinib, nilotinib, and bosutinib—improve the rate of of deep molecular response over time versus imatinib, none of these drugs are associated with significantly improved overall survival or transformation-free survival over imatinib. Patents who wish to stop their TKI after achieving and maintaining deep molecular response should be counseled on the potential benefits and risks of stopping, such as TKI withdrawal, and they should have access to frequent molecular monitoring, according to the guideline. In addition to maintaining a stable deep molecular response for at least 2 years, monthly molecular monitoring is recommended during the first year following discontinuation, as this is when the risk of relapse is highest; every 6 weeks during the second year following discontinuation; and then, every 12 weeks thereafter. Patients should resume therapy with loss of major molecular response. Patents should have no history of accelerated or blast phase CML and be on approved TKI therapy for at least 3 years. Patients should be referred to a CML Specialty Center for at least 1 consultation to review the appropriateness of TKI discontinuation. “It is strongly encouraged to notify the NCCN panel of any potential new toxicity that may occur, or any bad [disease-related] outcome that may occur in patients who stop therapy,” Shah concluded. Shah NP. NCCN guidelines updates: discontinuing TKI therapy in the treatment of chronic myeloid leukemia. Presented at 2019 NCCN Annual Conference; March 21-23, 2019; Orlando, FL. Saussele S, Richter J, Guilhot J, et al. Discontinuation of tyrosine kinase inhibitor therapy in chronic myeloid leukaemia (EURO-SKI): a prespecified interim analysis of a prospective, multicentre, non-randomised, trial. Lancet Oncol. 2018;19(6):747-757. doi: 10.1016/S1470-2045(18)30192-X. Legros L, Nicolini FE, Etienne G, et al. Second tyrosine kinase inhibitor discontinuation attempt in patients with chronic myeloid leukemia. Cancer. 2017;123(22):4403-4410. doi: 10.1002/cncr.30885. Mahon FX, Etienne G. Deep molecular response in chronic myeloid leukemia: the new goal of therapy? Clin Cancer Res. 2014;20(2):310-322. doi: 10.1158/1078-0432.CCR-13-1988.